Welcome! Auntie Belham’s offers the finest Gatlinburg TN Cabins in the Smoky Mountains. Nestled in the Great Smoky Mountains of East Tennessee, Auntie Belham’s is the best place to go for your vacation. Enjoy your vacation, family reunion, honeymoon, golf trip or any other occasion for lodging at Auntie Belham’s Cabin Rentals. Let us help you plan your Smoky Mountain cabin getaway! We are your Official Site for Gatlinburg cabins and Gatlinburg chalet rentals. Come experience the breathtaking beauty of our Smoky Mountain Paradise with the warmth and splendor of Auntie Belham’s Gatlinburg Cabin Rentals tucked away in the country with a spectacular natural setting or within walking distance to town. Auntie Belham’s cabins in Gatlinburg Tennessee can be an adventure in a cozy unit for 2 or an entertaining Large Group cabin that sleeps 16. These private vacation homes offer considerably more space than you will find in the typical hotel room often at a reduced cost. Now, families can vacation together and still have room to breathe. Each Gatlinburg cabin rental, mountain chalet and cottage is privately owned and tastefully decorated for the enjoyment of your family vacation. Our fully furnished cabins and chalets range from economy travel to luxury travel to suit all types of travelers. Our Gatlinburg TN cabin rentals offer hot tubs on decks, indoor and outdoor fireplaces, home theaters, plasma TV’s, incredible long distance Smoky mountain views, fun-filled game rooms, saunas, Jacuzzis and more! Few places in the world can rival the splendid beauty and serene settings of the Great Smoky Mountains National Park which is located just minutes from cabin rentals Gatlinburg TN… Named this due to the smoky haze that can often be found enveloping the hilltops and valleys, the Smoky Mountains are as unique as a falling snowflake. As the most popular National Park in the country, this 520,000 acre mountain wilderness attracts some 10 million visitors each year, twice that of any other park. With a unique and awe inspiring diversity of plant and animal life, a rich history and a multitude of recreational options, the Park offers something for everyone. While vacationing with us in one of our Gatlinburg TN cabin rentals, enjoy the endless area Gatlinburg attractions located just minutes from the Great Smoky Mountains National Park. 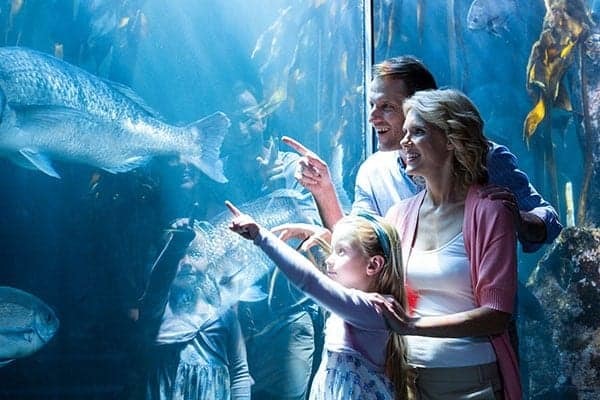 Travelers can experience Dollywood, horseback riding, Dolly’s Splash Country, golfing, fishing, white water rafting, hiking, shopping, Ober Gatlinburg Ski Resort, live shows, Harrah’s Casino in Cherokee, North Carolina, Ripley’s Aquarium and much more. Looking for crafts? The Great Smoky Arts And Crafts Community is one of the “best kept secrets”. Gatlinburg takes pride in its specialty shops, local arts and crafts and fine dining restaurants. The Smokies offer many kinds of shopping…it is a true shopper’s paradise. Everywhere you turn, you will find something fun to do in Gatlinburg TN. See our Gatlinburg attractions page or read our Gatlinburg cabins blog for more area events and entertainment.